Beans and Legumes: What’s the Difference? Legumes are a broad category of seeds that grow in pods, while beans are the seed from different variety of plants. Beans are always legumes, but legumes aren’t always beans. 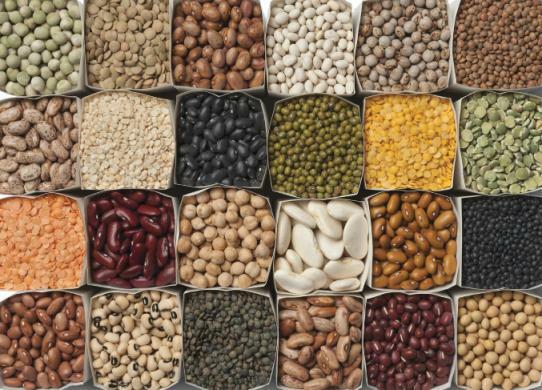 For example, legumes can be broken into different subcategories including: Beans, lentils, peas and peanuts. Some examples of beans include chickpeas, kidney beans, black beans, pinto beans and navy beans. There are over 20 different species of legumes varying in shape, texture, color, and taste. A great benefit to beans and legumes are that they are nutritious, inexpensive, and versatile. · Make a lentil curry with your favorite spices and herbs. · Blend beans, garlic, lemon juice and olive oil into a spread. Serve with veggies/add to a veggie wrap. · Substitute hamburgers for lentil or black bean patties. · Prepare vegetarian tacos with beans, lettuce, onion, tomato and avocado.